Modern Linux Distributions usually include a graphical Modem Manager such as Gnome-PPP or KPPP. On these, you simply fill out your username, password, and access number and the Modem Manager does the rest. This document is primarily intended for those of you running older distributions that require a manual setup. You must have PPP support in your kernel. 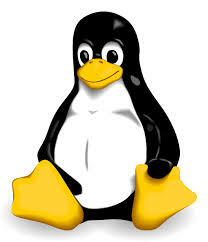 Most modern Linux systems use a modular kernel and PPP is implemented in a module. Most modern Linux systems will load this module automatically upon boot but older systems may require that it be loaded manually by typing, “modprobe ppp.o“. An example of a complete /etc/wvdialconf file is below. Your information will be different. Please also add the line, “Auto Reconnect = off” in the Defaults section. We will show you how to automatically redial later. The wvdial utility works differently than pppd itself. When run from a shell, it will continue to log information from the connection to the shell window and terminate the call when the user sends a break signal (usually “^C”). If all is working, you will see the modem communicate and connection information on the terminal. Leave this terminal running (perhaps minimized if running under X), and to disconnect the connection, come back to this terminal and type “^C” (Control-C). Remember to kill the session (“^C”) if leaving the computer idle or unmonitored for long periods, otherwise it will tie up your phone line as well as ours.